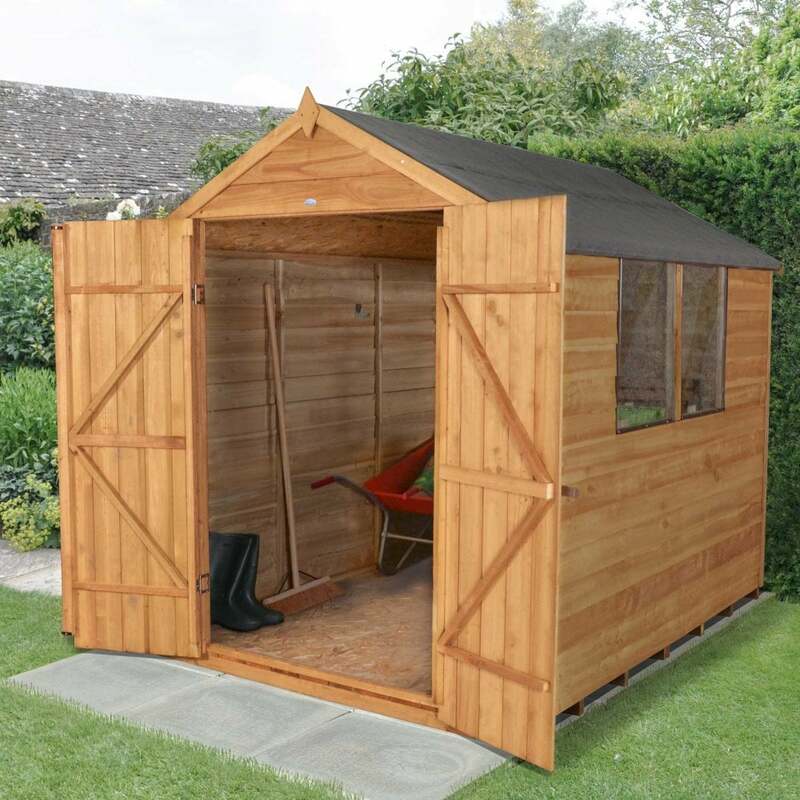 Forest Garden 6 x 8 Overlap Dip Treated Apex Shed: This Forest Garden Double Door Overlap Shed is the most popular size in our shed range and is great for any garden size for a variety of different storage needs. The shed has had a factory applied treatment applied and is manufactured from 7mm square overlap boards and includes a double door and two polycarbonate glazed windows. The double doors have been double ‘Z’ framed for added strength and security, can be hung either side and have safe-secure hidden door hinges. For added security, a hasp and staple lock in included. The traditional apex roof is a standard look for a shed as it provides ample head room side the shed and allows water to freely flow either side of the shed. The weatherproof, black felt roofing material is included with this shed and the smooth planed finial and barge board will complete the shed appearance. NB: The timber has been given a factory dipped treatment and guaranteed against rot for 10 years, provide that the shed is isolated from the ground and is regularly treated with a timber preservative.